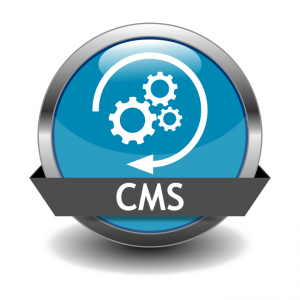 Does every website need a CMS? Well, if you have a static site that’s rarely updated because it accurately reflects your business and you’re comfortable with raw HTML in a non-responsive, non mobile world, then no, you don’t need one. But in most cases, a content management system is totally the right choice to stay competitive and modern. We create a new site, modernize and migrate content from your existing site and, make it mobile friendly. You don’t need to know HTML or any other programming language to build a website using a CMS. In fact, anyone who’s comfortable using a word processing program like Microsoft Word can use a content management system with the same level of ease. Because no coding is involved, a CMS liberates you from any reliance on a developer or an IT department. You’re in charge of your site. Need to make an edit or an update? There’s no need to email someone a request—you can make it yourself. You’re saving money by using your developer’s time more efficiently… or maybe by not hiring a developer at all. We offer great affordable offshore options to help maximize initial setup. Content management systems store content in a database, where it’s easily accessible and separate from site layout. This dynamic content approach makes updating your site fast and easy. With a static site, you’d have to tediously copy and paste in order to display the same text on multiple pages or update your tagline. With a CMS? Do it once and you’re done. Most content management systems foster collaboration by allowing multiple users to work on a site, and many of them offer handy features like workflows, approval chains and permissions. Because most CMSs are online, users can access them from any computer (or smartphone!) with an Internet connection. That means it’s easy for your co-worker across the country to be on the same page as you—literally. And your fantasies of working remotely from Hawaii? Totally possible. Want to appear higher in search results? A content management system can help. Most of them have built-in SEO tools like XML sitemap creation and keyword monitoring. Websites powered by content management systems are always displayed using current web standards. As those standards change, your site changes with them. Experts on this one and our favorite. WordPress is used by over 14% of the 1,000,000 biggest websites and as of February 2016, there has been over 75 million downloads! If you don’t have a content management website and are looking for one, you should consider WordPress. Its free, there are thousands of free templates that activate with just a click of a mouse, there are thousands of quality free plugins, covering almost anything you can think of, and best of all, hosting will only cost you a few dollars a year. We were an early adopter in 2006. SharePoint makes it easier for people to work together and using SharePoint 2010, your people can set up Web sites to share information with others, manage documents from start to finish, and publish reports to help everyone make better decisions. After 15 years on the market, the quality of third-party add-ins is massive. We can make add-in recommendations that will save you time, save you money and get you the best fit of add-in available for your business in no time at all. We offer a variety of services and through our strategic partner have implemented well over 50 Sharepoint implementations. We like it alot. Joomla is an award-winning content management system (CMS), which enables us to build Web sites and powerful online applications for your business. Many aspects, including its ease-of-use and extensibility, have made Joomla a very popular CMS. Best of all, Joomla is an open source solution that is freely available to everyone. Are you ready for Heavy-Duty Enterprise? Drupal is a cutting-edge CMS platform that supports the latest technologies that the Web has to offer. The Drupal project’s principles encourage modularity, standards, collaboration, ease-of-use, and more. Drupal is often used at the Enterprise level as a CMS solution due to its high level of customization capability.